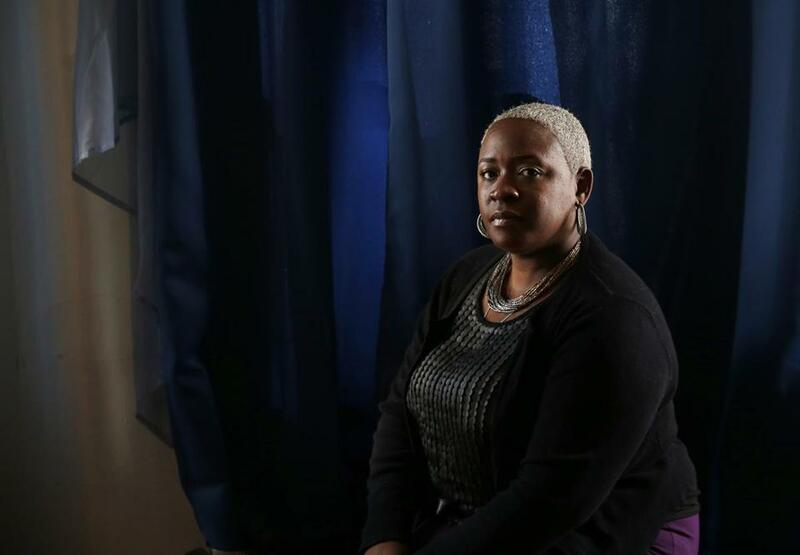 Kissa Owens received a $1 million settlement from Springfield police when her son, 15-year-old Delano Walker Jr., was killed during a 2009 confrontation with police. SPRINGFIELD — As surveillance cameras rolled in a police station holding cell, a Springfield narcotics detective declared he could get away with anything — even murder. “I could crush your [expletive] skull and [expletive] get away with it,” Officer Gregg Bigda told a 15-year-old suspect in the theft of an unmarked police SUV. It was a shocking assertion from an officer who has long been accused by citizens of pushing the limits of the laws he swore to uphold. Yet, within the Springfield Police Department, Bigda appears, in his extreme and disturbing behavior, far from an isolated case. 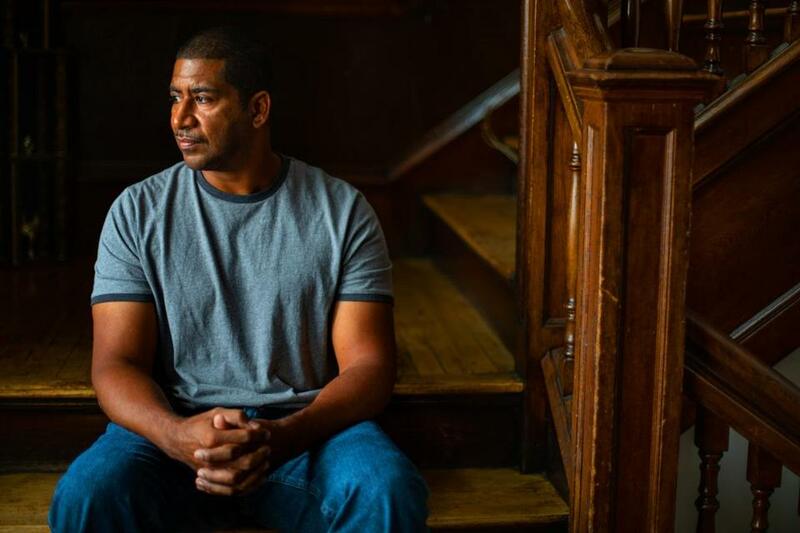 For years, claims of police misconduct — ranging from false reports, brutal beatings, and wrongful convictions — have been lodged against Springfield officers in courtrooms, in the community, and even from within the ranks. The city has paid millions to settle claims, while civil suits filed against the police department allege many officers accused of serious misconduct have faced little to no discipline, though Bigda was suspended. Some of them have been promoted, records show. Now, the US Department of Justice is conducting two investigations — one a criminal probe by the FBI focused on Bigda’s actions and the other a sweeping civil review of whether the police department’s narcotics unit routinely used excessive force and violated people’s civil rights. The FBI and state attorney general’s office are also looking into a 2015 melee outside a bar on Springfield’s Island Pond Road, where four black men allege they were beaten by off-duty officers. The investigations come at a critical time in the life of the state’s third-largest city. A decade after Springfield emerged from state receivership due to financial woes, officials beckon visitors to gamble in a glimmering new $960 million casino downtown. City leaders hope the new venue and the thousands it will attract will lift the city’s economy and public image, but the federal investigations could result in more black eyes and costly reforms for the city of 154,000. It is the first Massachusetts police department to come under investigation by the Justice Department’s civil rights division, putting it in a class with cities like Ferguson, Mo., Baltimore, and Chicago, where police abuses triggered rare federal intervention. In dozens of federal civil rights lawsuits reviewed by the Globe, Springfield officers are portrayed by plaintiffs as acting above the law and inoculated from punishment. Seven narcotics officers amassed about 133 complaints for alleged infractions that ranged from beating prisoners to using racial slurs to roughing up a fellow narcotics officer on a federal task force, according to police department records included in a civil suit settled last year. Only one of those officers — arrested for drunken driving in Indiana — was ever suspended, records show. Since 2006, the city has settled 25 police misconduct lawsuits and was ordered to pay judgments in two other cases, costing taxpayers nearly $4 million. Bishop Talbert Swan II, president of the Greater Springfield chapter of the NAACP, said city leaders have resisted efforts to reform the department, opting instead to dismiss complaints and marginalize people who speak out. Mayor Domenic J. Sarno and Police Commissioner John Barbieri declined interview requests. Sarno has previously said the city would work with federal investigators. City Solicitor Edward Pikula said the investigation “signals everyone will be held accountable and it signals that [Springfield’s] government is willing to work with other agencies to improve the system.” Officers, for example, recently agreed to wear body cameras. Few details have emerged about the ongoing investigations, but the breadth of issues facing the department have surfaced over the last decade, largely in civil court filings. 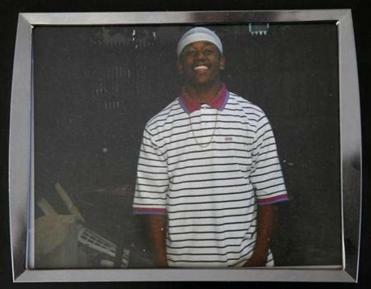 15-year-old Delano Walker Jr. was struck and killed by a car during a confrontation with police in 2009. In one high-profile civil case, a jury found a white officer used excessive force in a 2009 confrontation with a 15-year-old black boy who was struck and killed by a car. The city paid $1 million to the boy’s family. The officer was cleared by police of wrongdoing and later promoted. Other pending lawsuits allege off-duty officers beat four black men outside a bar in 2015. More recently, there’s the case of Bigda, the detective who boasted he could get away with just about anything. On the evening of Feb. 26, 2016, Bigda allegedly sat at his desk drinking straight rum, according to two civil lawsuits. A colleague, Officer Steven Vigneault, who filed one of the lawsuits against him, claims he ordered a pizza to help Bigda sober up. When he went to get the meal, Vigneault said he left an unmarked police SUV running outside the pizzeria, and four teens jumped inside and drove off. On a residential strip of North Main Street, Bigda allegedly kicked a handcuffed 14-year-old Puerto Rican boy in the face as he lay on the ground, spat on him and said, “Welcome to white town [expletive],” according to a lawsuit filed Tuesday by the teenager’s mother. The 14-year-old was hospitalized and officers brought two other teens to the Palmer police station. Bigda gestured toward a surveillance camera and warned one of the boys he’d be brought to the Springfield police station, where there were no cameras. Months later, the video of Bigda’s interrogation circulated in Springfield. Defense lawyers used it to discredit him in court in cases in which he was a witness. Facing a disciplinary hearing, Bigda agreed in August 2016 to serve a 60-day suspension and was transferred out of the narcotics unit. His lawyer didn’t respond to requests for comment. In April 2017, a federal judge hearing another Springfield police misconduct case said he was shocked by the Bigda tape. “I’ve seen videos of really violent arrests, and this got to me,” said Judge Michael A. Ponsor, who presided over a now-settled civil suit alleging excessive force by Bigda and colleagues. Before the Palmer incident, Bigda had weathered 24 internal investigations of misconduct — none of which resulted in discipline, according to the lawsuit filed by the 14-year-old boy’s mother. Today, he’s assigned to a desk job and earned $90,000 last year, city records show. Bigda’s former colleague, Vigneault, alleges in his state whistle-blower suit against Bigda and others that he resigned amid fears that he would be falsely accused of kicking one of the teens in Palmer. He is cooperating with the FBI in the Bigda investigation and testified before a federal grand jury in March, according to his lawyer, Shawn Allyn. “He sees himself as a scapegoat,” Allyn said. The suit alleges that Bigda drank liquor before drug raids and was intoxicated while questioning the teenagers. Vigneault told the FBI that officers had removed soda from a vending machine in the narcotics unit and replaced it with beer, Allyn said. The police commissioner, Barbieri, said an internal investigation found no evidence that narcotics officers drank on the job, according to an affidavit filed in court. Paul Cumby Jr. alleges that he was beaten severely by a group of off-duty Springfield police officers outside a bar in 2015. Another high-profile case pending in federal court involves an alleged beating and coverup by a group of officers. Around 11 p.m. on April 7, 2015, Paul Cumby, a lawn sprinkler installer who grew up in Springfield, was drinking with two cousins and a friend at Nathan Bill’s Bar & Restaurant. Cumby’s cousin, Jozelle Ligon, whistled to the bartender to get her attention. But Daniel Billingsley, an off-duty Springfield police officer at the bar with colleagues, thought Ligon was cat-calling his girlfriend, another off-duty officer, according to Cumby’s lawsuit. “We’re police officers, we have a tab, and we don’t want your drinks,” Billingsley told them, according to lawsuits by Cumby and his cousins. Later, words were exchanged outside. When he regained consciousness, Cumby said he had a broken leg, dislocated ankle and four teeth had been knocked loose. His cousins and their friend also reported being beaten. Two police cruisers and an ambulance arrived and some of the alleged attackers retreated into the bar, Cumby said. In July 2015, Cumby met with Springfield police investigators, who asked Cumby to identify the attackers and presented him with more than 2,600 photographs to consider, including one of Billingsley among 658 photos of Springfield officers. “They flooded him with thousands of images,” said Cumby’s attorney Michelle S. Cruz. The same thing occurred when Cumby’s cousins met with investigators. Billingsley’s attorney did not respond to requests for comment. To date, no disciplinary hearings have been held for any of the officers believed to have been at the bar on the night of the attack, Cruz said. One officer named in lawsuits filed after the incident was promoted in July to sergeant. In April, the FBI and state AG’s office asked for the public’s help in identifying a man who may have witnessed the confrontation. 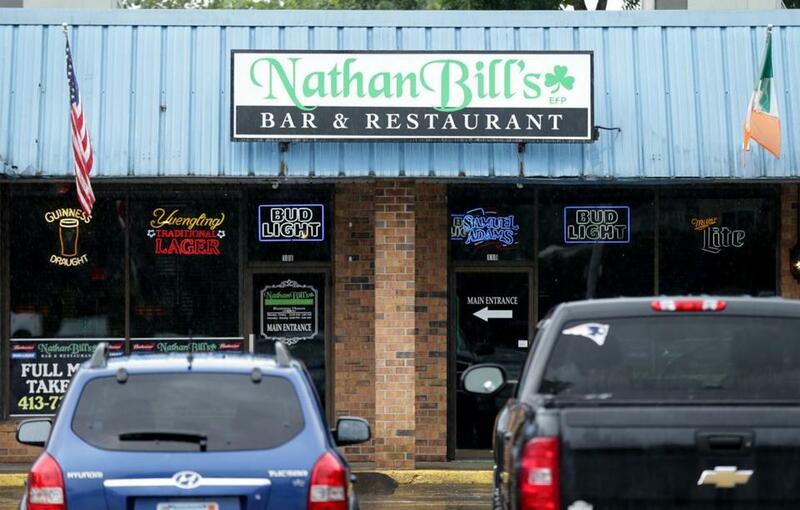 Nathan Bill's Bar & Restaurant, where an alleged beating and coverup by a group of officers reportedly took place. One of the largest payouts by Springfield for police misconduct came in a 2014 settlement with the family of 15-year-old Delano M. Walker Jr.
On a July night in 2009, Walker was on his phone talking to his girlfriend, walking alongside two friends on bicycles. Two Springfield police officers, investigating car break-ins, stopped the teens. Officer Sean Sullivan ordered Walker to get off the phone, but Walker refused. Sullivan lunged for his throat, according to testimony in a federal civil suit. The teenager backed away, into the path of an oncoming car that struck and killed him. Police cleared Sullivan of any wrongdoing. However, a federal jury found Sullivan violated Walker’s civil rights and awarded $1.26 million to his mother, Kissa Owens. The city settled the case for $1 million. In July, Sullivan was promoted to sergeant. Owens said she’s upset that neither the mayor nor police have apologized to her. Justin Hurst, an at-large city councilor in Springfield, said the police department has faced so many controversies that some residents are resigned to the status quo. That accountability may come at the behest of the federal government. Emily Gunston, a former Justice Department official, said investigators in the past have focused on departments that appeared to be “among the worst of the worst” in the country. “It’s really looking at a pattern or practice of violations of the constitution or federal law,” said Gunston, now deputy legal director at the Washington Lawyers’ Committee for Civil Rights and Urban Affairs. If violations are found, the government could mandate major reforms. Some agreements in other cities subject to justice department scrutiny have cost communities millions of dollars to pay for training, equipment, and outside experts to oversee the changes. Laura Crimaldi can be reached at laura.crimaldi@globe.com. Follow her on Twitter @lauracrimaldi. Shelley Murphy can be reached at shmurphy@globe.com. Follow her on Twitter @shelleymurph.